Lancashire boasts an enormous amount of well known landmarks, such as Blackpool Tower, the Lancashire Railway and Rossendale’s outdoor ski slope to name but a few. One of those places in Lancashire that you probably wouldn’t take a second glance at is Haslingden, but you should. Here from this small Lancashire town the famous cricketer Clive Lloyd, from Guyana played for Haslingden and if you’ve ever walked through Trafalgar Square in London take note that those paving stones came from them these parts! In fact this old market town, which bears the scars of the industrial revolution, once was teeming with life from the Cotton Mills. 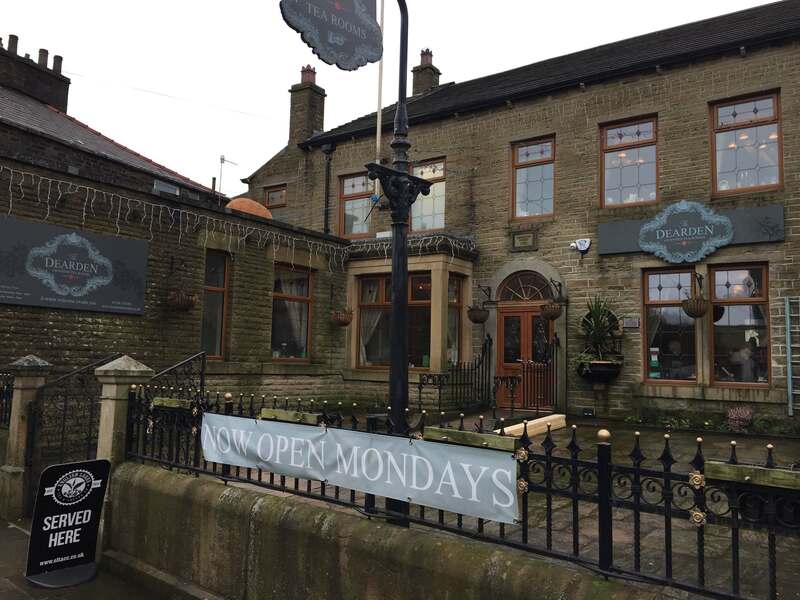 Today though not much brings you to Haslingden, unless like us you’ve heard good things about The Dearden Tea Rooms. 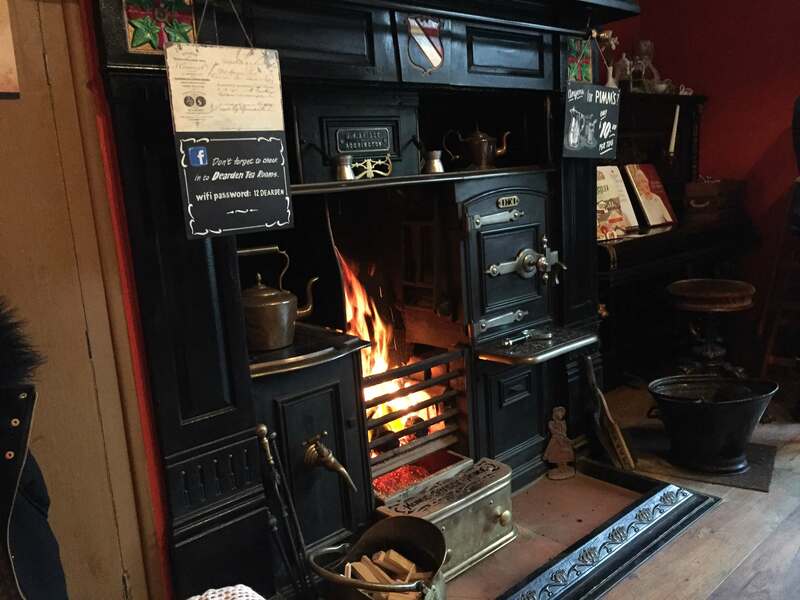 We had heard about this old house that is now serving food and afternoon teas. We were limited for time sadly, and would have liked to have tried out various items on the menu, but we succumbed to both having the Egg Royale with tea and coffee. Now if this was anything to go by, the rest of the food will be good. The Egg Royale was served on a slate and made from poached duck eggs, smoked salmon, muffins and hollandaise. This was cooked to perfection, so bravo chef! Perhaps we’ll get the opportunity to return, because the afternoon tea and cakes that we had heard so much about, was the one thing we never got to try. 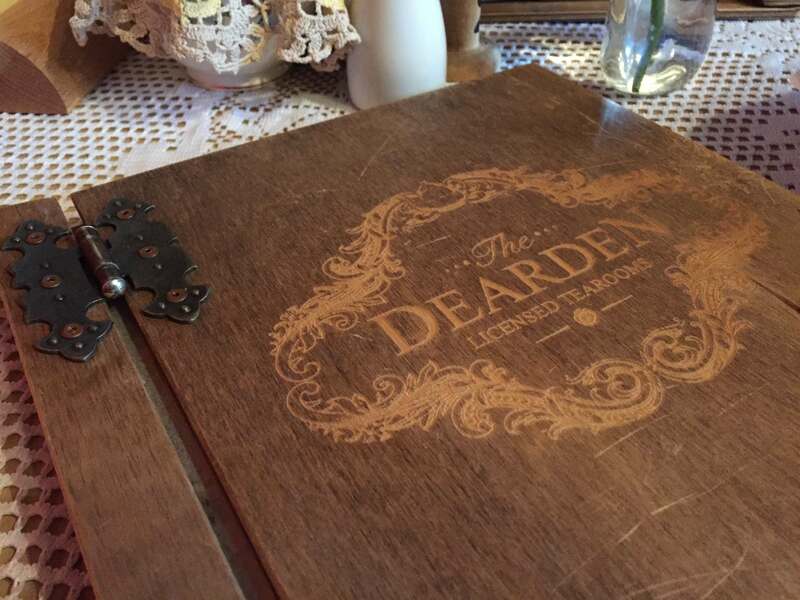 Dearden’s are tapping into a growing market where quirky, traditional and great food come together. The welcome fireplace in the front room was a treat given the cold biting wind up there on the hill. Why not check it out? Mind you, you’ll need to book!